Metro Vancouver’s hot office market is helping to stoke investment demand in the region’s suburbs says CBRE, pointing to several of its recent deals that have taken place outside the downtown core. Suburban office sales led the market in the first quarter of 2018, with CBRE reporting 14 closed deals on suburban office buildings. The firm said it closed on eight such deals in all of 2017. Last quarter, the suburban office market experienced a 150-basis point drop in vacancy rate to 8.1 per cent, the lowest it’s been since Q2 2001, according to CBRE’s Canada Q1 2018 Quarterly Statistics Report. It also noted there has been an increase to rental rates in five of the city’s seven office sub-markets. Vacancy in the suburbs could soon rise again, though, as 1.9 million square feet is currently under construction outside the downtown core, according to CBRE’s figures. That’s a 103 per cent increase over the in-progress builds from the previous quarter. Metro Vancouver’s current overall office vacancy rate is 6.4 per cent, a drop of 90 basis points from Q4 2017. And at least for now, the tightening continues. 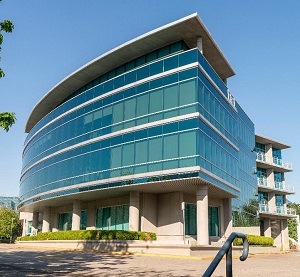 Among the deals were the remaining five of nine office buildings at Willingdon Park in Burnaby. Those buildings totalled nearly 489,000 square feet on 2.3 acres. CBRE said the Willingdon Park group of properties drew attention from several local, national and international investors, but ultimately sold to an American buyer. Meanwhile, Investors Group sold its Metro Vancouver Portfolio, a collection of nine office and industrial buildings which totals more than one million square feet across 31 acres in Vancouver, Burnaby, Coquitlam and Surrey. The Investors Group Metro Vancouver Portfolio sold to a major Canadian investor. Office assets in the suburbs are now fetching better yields than the downtown market, said Tony Quattrin, the vice-chairman of CBRE’s National Investment Team. He said increasing tenant demand is another part of the equation. “We had double-digit vacancy there (in the suburbs) 18 months ago and today the vacancy rate is down below eight per cent,” he told RENX in an interview. He said some tenants are “opting out” of the downtown office core, which is now flirting with sub-four per cent vacancy as the peninsula enters a new development lull that will last for the next two to three years. Quattrin said pricing and availability are more attractive for some investors and renters in secondary markets, and especially so in Vancouver’s Eastern neighbour. Ross Moore, a tenant representative and senior vice-president with Cresa in Vancouver, cautioned the sale of a couple of large portfolios should not be taken to represent a major shift of investor or tenant interest from Vancouver’s downtown to the suburbs. “Two portfolios came to the market and so that’s skewed the numbers,” he told RENX on Wednesday. “There is (still) a world of difference between the downtown leasing market and the suburban leasing market. Tech firms are seeking space, but he said most of the market is being driven by government or public service organizations. Moore agreed Burnaby is leading the way when it comes to investor and tenant appetite for suburban office. Mostly, however, the Metro Vancouver market continues to perform well overall, Moore said.